Customers across the globe trust GoodData with their most sensitive data. We provide the highest level of data security and protection to enhance trust, provide full transparency and enhance governance, risk management and compliance for companies of any size. Your data is safe with GoodData. Industry standard best practices for data protection in the cloud, including SOC 2 Type II report, ISO 27001:2013 compliance, and GDPR compliance. Gold standard for all customers. Built for enterprise environments with sensitive or regulated data which require additional assurance on security practices, data handling, and implementation. Available as an extension to Security Shield.  Includes BAA and additional arrangements to ensure customers comply with the HIPAA regulatory requirements. Add-on available for Enterprise Shield. Includes DPA and additional arrangements to ensure customers comply with requirements for processing of special categories of data under Article 9 EU GDPR. Data security, confidentiality, availability, and integrity are vital to our customers’ business operations. Working in partnership with customers and technology providers, GoodData ensures the highest level of security by employing a proactive strategy that combines industry best practices, state-of-the-art technology, and common sense. We employ a multi-layered approach to protect information, keep up with international compliance standards and best practices, test and adopt new technology, and continuously monitor and improve our applications, systems, and security processes—all while paying close attention to specific regulatory requirements in customer industries and locales. More details can be found in our fine print. Our security and privacy experts are here to answer questions and share best practices.